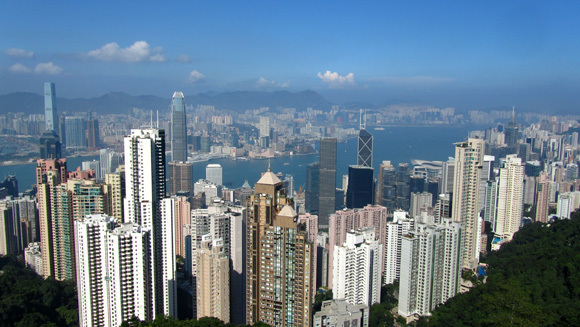 Taking a trip to Hong Kong can come as a serious shock from a traveler that originates from Southeast Asia. A brief 3 day visit to one of the most famous cities in the world can easily cost as much as a month of frugal living expenses in Thailand. That to say, when I visited Hong Kong, I didn't exactly have the budget to post up in a sky rise hotel (or even a nice hostel), party at a renowned night club, or go on a legendary Hong Kong shopping spree. Nevertheless, the fascinating dense metropolis that makes Bangkok feel like the country-side, has plenty of other attractions that won't bankrupt your trip. Without further adieu, here are 5 picks for budget-friendly things to do in Hong Kong. Taking a cable car to the top of Hong Kong Peak for spectacular views over the entire bay is one of the city's biggest draws. Riding the cable car comes at the cost of 33 HKD round trip. The good thing is, it's possible to hike it – for FREE. Though it is steep at times, the trail is easy to follow and is well worth the exercise and awesome views of the city while gaining elevation. The hike to the Peak should take around 45 minutes or so. There are also plenty more hiking opportunities in Hong Kong, just moments away from the concrete jungle itself. In terms of world culture, there are few places in the entire world that are as interesting as the Chungking Mansions. When the Hong Kong bureau of tourism nicknamed their city as “Asia's World City,” I wouldn't be surprised if they were walking around these notorious all-purpose structures. Imagine the entire world coming together in a single building – all with business on their minds. You can almost feel transactions and deals floating from culture to culture through the musty air. The bottom floor is crammed with everything from fragrant Bangladeshi curry restaurants to outdated mobile phone traders. The higher levels are congested with low budget guest houses, condos, and an assortment of undetermined halls and passageways. Right next to the Chungking Mansions is another complex known for international business and cheap accommodation, the Mirador Mansions. 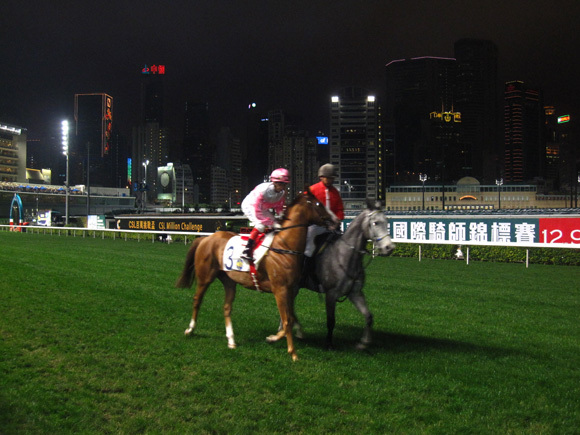 There's an electrifying atmosphere on a horse race night at the Happy Valley Race Course in central Hong Kong. The bright lights from the race course blind out the sky scrapers lingering in the background creating a spotlight effect on the stadium. For just 10 HKD entrance and another 10 HKD for a chance to bid on a winning horse, it's possible to have an entertaining evening in Hong Kong. You don't even need to bet on a horse, but you just might win some extra survival money for Hong Kong! Eating Hong Kong's most world renowned delicacy doesn't usually come free of charge (unless you organize some kind of hook-up), but it would definitely be a shame to visit the city without at least a couple brunches worth of dim sum! 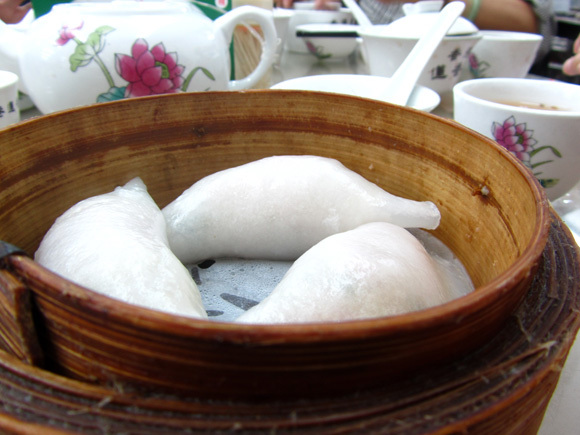 The dainty bamboo steamers filled with all sorts of dumplings, little petit plates of scrumptious looking things, and edible artful creations are what make dim sum such a wonderful culinary experience. Last time I was in Hong Kong, I enjoyed eating at Lin Heung dim sum for fantastic dim sum and a somewhat traditional dining environment. It's a bit cliche and obvious, but nevertheless there's never been a single person who has visited Hong Kong as a tourist and didn't stop for a moment to view the skyline. The officials didn't give out the “world's best skyline,” award to a few low key shacks. Looking over the bay at Hong Kong's skyline at day or night is definitely a sight that will make anyone skip a few breaths in awe. 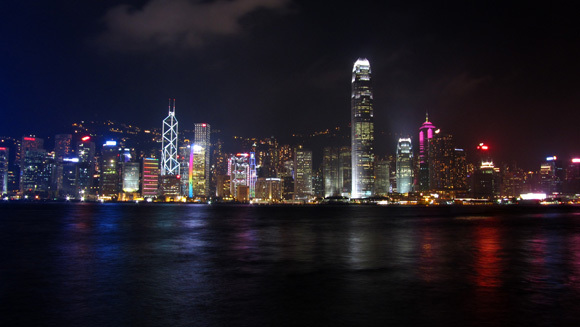 The magical Hong Kong light show begins as 8 pm daily. So although it's easy to rack up a massive bill in Hong Kong, there are still plenty of things to do that won't bankrupt your trip! Great ideas. I’d revise the Victoria Peak item by suggesting a bus ride UP (and walking DOWN; find the steps that parallel the cable car). Can’t recall the price, but all bus rides are very reasonable. Best (and scariest) experience: front seat on top of double deck bus. That also goes for bus ride from Aberdeen to Stanley. 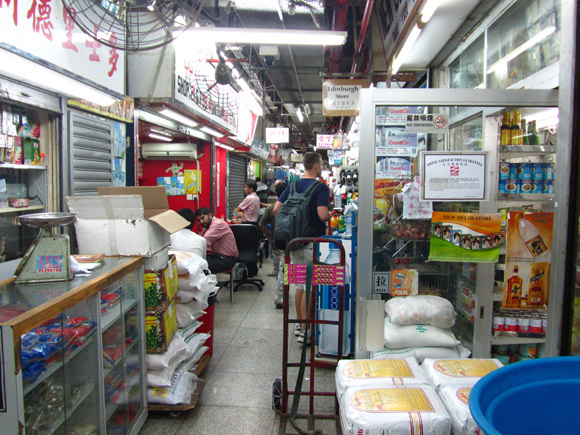 Also low-cost must do items include the Star Ferry, Trams from Causeway Bay to Central (again, top front), Temple Street Night Market, and the Mid-Level Escalators in Central. In my first trip to Hong Kong (1976), my wife and I stayed in a spare room in a private apartment in Chungking Mansions. It’s a must see on each return visit, but the YMCA is now our preferred budget hotel. I find Hong Kong very affordable.